This summer RASKC nominated Sarah Stolberg as Mud Bay's Volunteer of Excellence. She has provided extraordinary leadership to three volunteer teams. With kindness, exceptional skill and incredible dedication, Sarah recently managed over 200 volunteers. She has donated over 1,000 hours since 2014. As an accountant in her day job, Sarah brings strong organizational skills and innovation to the many daily challenges of volunteer management. She also volunteers in a weekly cat-team role herself. Sarah has earned the deep respect and immense admiration from team members and RASKC staff. Mud Bay will be announcing three top Volunteers of Excellence tomorrow at their annual FUTY Festival. The winners will personally receive $1,000 each and also $1,000 for their organization. If you would like to attend Mud Bay’s FUTY Festival on Sunday, August 20, from 4-7pm in Seattle, you must preregister online at this website by typing in this promo code: S595864FUTY. (The password will not work if you “copy and paste” it in). The festival features free food and beverages, free samples of pet supplies, and a very fun atmosphere. RASKC volunteers are encouraged to wear RASKC t-shirts and meet at the photo booth at 5:30pm for a group photo. Dog enrichment: Staff is developing a new enrichment program to help keep dogs entertained during their downtime between walks. New enrichment items include food puzzles, rotating toys, and dog playgroups that allow the dogs to run around with each other off leash. The goal of this enrichment program is to provide mental stimulation for the dogs and increase adoptability. A better dog walking experience: We have several new changes in store for RASKC dog walkers, including our new Dog Team Skills Assessment and Color Matchup. Dog walkers participate in a training session and assessment that will cover best practices for walking and help match volunteers to appropriate dogs based on their strengths. Volunteers who have been assessed will now be able to walk dogs off RASKC property. Improved communication between staff and volunteers: A new white board outside of dog adoptions will provide dog walkers with important information about each adoptable dog. If volunteers have any concerns or observations about a dog, they will be able to express their comments to staff in the new Dog Memo Binder. Additionally, RASKC is now hosting monthly dog team meetings on the last Thursday of each month. These meetings are a great opportunity for dog volunteers and RASKC staff to work collaboratively on future improvements to the dog team. These one-hour meetings are open to all dog team volunteers. If you are interested in participating, our next meeting will take place in the lunchroom on Thursday, August 31st from 5pm-6pm. RASKC pays tribute to superlative volunteer Pat Wynn, who recently completed her time with RASKC. 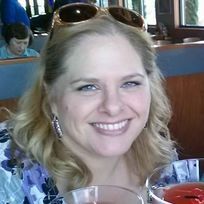 She is a professional dog trainer with Blue Sky Canine Coaching, LLC, credentialed by the Certification Council for Professional Dog Trainers. 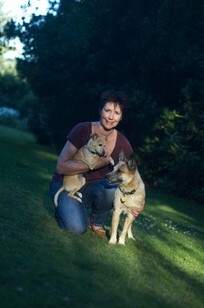 Pat is also a longtime volunteer at the Seattle Humane Society (SHS). Her work there is increasing in light of a facility remodel with expanded space and the reorganization of SHS volunteers to work with pre-adoption dogs. Pat created a curriculum specifically for RASKC volunteers in 2013. Since that time she contributed over 220 hours during 55 classroom and coaching sessions. Pat has been extraordinarily generous in sharing her expertise and wonderfully effective teaching methods. Pat’s trainee evaluations always came back with the highest rankings and enthusiastic comments. We deeply appreciate all of Pat’s work. Profiles of previous Volunteers of the Month are found on our blog. 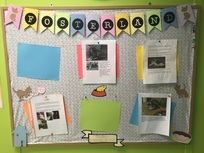 Foster volunteers Becky Rubeck, Melodye Johnson, and Leslie McKay recently collaborated with RASKC Manager Dr. Gene Mueller to ensure that a prominent and recently redesigned bulletin board in the Cat Adoptions Building exclusively features foster pets ready to be adopted. In the past photographs of foster pets shared space on the bulletin board with information on some common cat diseases. The teamwork of the three volunteers now ensures that the space is upbeat and attractive. Additionally volunteer Melodye is actively working with many other volunteers to ensure foster pets are promoted in the best light possible online. If you’re a foster volunteer who’d like Melodye’s assistance, contact RASKC.Volunteers@kingcounty.gov. Can I foster even though I already have pets in my home? Yes. Most of RASKC’s foster volunteers already have pets of their own, which usually works out great. Foster Care Coordinator Lori Mason can offer tips to assist introducing your foster pet to your other animals. May I continue fostering even if I adopt my foster animal? Yes. We hope that you do so. How do I become a foster volunteer? Attend new volunteer orientation, which includes a full foster-training component. Or you may attend a Fostering Animals 101 training. When there is an immediate need for kitten fosters or hospice fosters, sometimes Foster Care Coordinator Lori Mason can provide a one-on-one training right away. How long does fostering last? It varies with the animal, though typically two to six weeks. Kittens are fostered until they’re two pounds. Hospice fostering can sometimes last many months, even years. Some people provide “weekend foster respite care” by taking care of other volunteers’ foster animals. If ever the animal is not a good fit in your home, RASKC will always welcome the animal back to the shelter. What kinds of animals are available to be fostered? Typically adult cats, kittens, and rabbits, though sometimes RASKC offers dogs and puppies for foster care. Kittens come in many varieties- those who eat on their own or those who need to be bottle fed every four hours or those who are accompanied by their nursing mama cat. 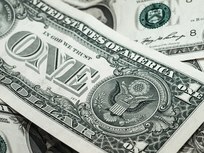 RASKC appreciates many generous employers who provide a financial match for hours that their staff donates to RASKC. Recently Nordstrom and United Healthcare collectively gave almost $1,000 to RASKC in honor of volunteer time donated by Katia L. and Corrie E. respectively. Microsoft, T-Mobile, the United States Automobile Association have also made similar contributions. Thank you! 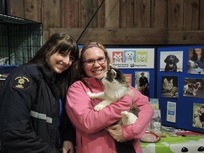 Animal Services Coordinator Nickie Ford recently celebrated her third year anniversary working for RASKC. Tell us about yourself. I was born and raised in Southern California. I graduated from Chapman University in 2010 with a degree in film. After getting married in 2011, my husband and I moved to Seattle. We currently live in West Seattle with our two cats, Annabel and Coraline, and our (RASKC) dog, Huxley. I have been working at RASKC since 2014. Why did you decide to work for animals? I grew up with animals and I’ve always had a passion for helping animals in need. What did you do prior to coming to RASKC? Before coming to RASKC, I worked as an adoption counselor at the San Diego Humane Society. Prior to that, I worked as a kennel tech at a veterinary hospital and as a groomer. I also spent several years running my own photography business, but ultimately I decided that I really missed working with animals. What does your work for RASKC involve? A large part of my job involves overseeing the partnerships with each of our offsite locations, and coordinating adoption and community/licensing events. I also spend a lot of time working on special projects for the shelter. What is the best part about your job? I love being a part of RASKC’s efforts to make life better for the animals and make a difference in the community. And of course, I love getting to work with such an amazing team of staff and volunteers! What do you do when you’re not at work? I enjoy reading, cooking, hiking, watching movies, and spending time with family and friends. I also love to travel whenever I get a chance! Please share a story about an experience with a great volunteer. I think there are too many great stories to pick just one! Since starting at RASKC, I have always been blown away by the enthusiasm and dedication of the volunteers here. I feel so lucky that I get to work with such an incredible volunteer team—we truly couldn’t do it without them! Phoenix is a 1.5 year old female Dachshund & Chihuahua mix, about 23lbs (ID #A534630). This sweet girl takes treats gently and is learning to sit on command. Phoenix is good on a leash and loves going for walks. She would love to be in a home where she’ll get lots of walks and some cuddle time with her humans afterwards. While great with adults, she doesn’t really trust children too much and may do best in a home without them. She seems to do well with other dogs, but will do best with a slow introduction to them in her new home. If you’re looking for a sweet little girl to join your forever family, Phoenix could be the one for you. Phoenix is spayed, current on her vaccinations, and micro chipped. Her $200 adoption fee also includes a free visit to the veterinarian of your choice and 30 days of pet insurance through Trupanion. RASKC features a new Pet of the Week on our website. Several suburban newspapers also highlight RASKC’s Pet of the Week thanks to the work of volunteer Dawn Gerken. RASKC’s previous Pets of the Week can be viewed on our blog. Meowtropolitan RASKC Volunteer Event: About 35 volunteers gathered at Seattle Meowtropolitan Cat Café at no charge to enjoy each other and to spend time with the resident cats and the RASKC adoptable cats on August 7. One of the volunteers exclaimed, “I was so excited for this event, I couldn’t sleep last night.” Volunteers traveled from Auburn, Bellevue, Des Moines, Kent, Lake Forest Park, Maple Valley, Redmond Renton, Puyallup, and West Seattle to participate. A grand time was had by all. To see a photograph album of this event, go to RASKC’s Facebook page. Zulily: Later this month Zulily will be making another in-kind donation of professional photography of RASKC animals in their studios. Thanks to the many foster volunteers who will be participating. Next month several Zulily employees will be taking a tour of RASKC. RASKC Pet Photo Class: Register here to be taught pet photography skills by acclaimed instructor Brooke Mallory at RASKC/ Kent on Saturday, October 14. Calendar of Events. Earlier this month RASKC volunteers participated in community events in Issaquah, Kent, White Center and North Bend. This weekend’s event will be at Celebrate Woodinville. 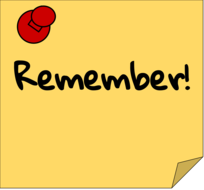 Check out RASKC’s calendar of events here. Half cup of cat food per day is the maximum for adult cats at partner stores. Because our cats are so sedentary while in our care, it’s important not to overfeed them. Provide wet food only if they’re not eating any of the dry food. Square format is requested for RASKC pet photos that are to be uploaded to our website. For information about posting photos of RASKC animals, contact volunteer Pam G at cats.raskc@gmail.com. Mini-clipboards and water bowl rings are two key items that need to be affixed to the cat kennels at RASKC/ Kent whenever a new set-up occurs.